Two more matches have been confirmed for WWE TLC. Finn Balor vs. Drew McIntyre and Elias vs. Bobby Lashley were both added to the card for the pay-per-view today. TLC will take place at the SAP Center in San Jose, California on December 16. Balor and Elias both lost matches on Raw this week due to storylines where Baron Corbin made changes in the middle of the match. Balor vs. Corbin was turned into a handicap match where Balor faced Corbin & McIntyre. 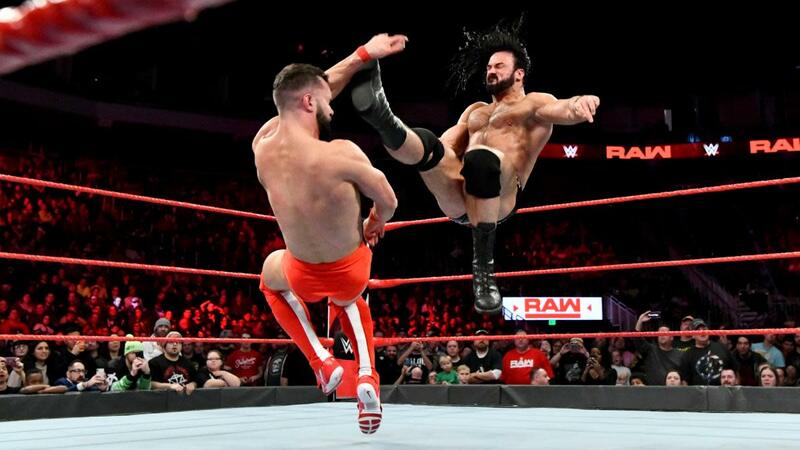 McIntyre pinned Balor after hitting the Claymore Kick. and Corbin, McIntyre, and Lashley laid out Balor after the match. As Elias was about to defeat Lashley on Raw, Lio Rush pulled the referee out of the ring. Corbin then made it a no disqualification match, with Lashley, Corbin, and McIntyre all attacking Elias before Lashley won.